We enhance understanding and inspire new ways of seeing. We engage with complexity by synthesizing, integrating, and re-presenting ideas in artful ways to help people see and understand more clearly. Images add life and dimension to concepts commonly restricted to words. They give us new ways of reflecting and gaining insight. Apply deep listening skills, artistic capabilities, and principles of visual learning to represent synthesized dialogue in real-time using graphics and text. Create visual representations that distill and display the essence of concepts to make them easier to understand. Tell stories and convey messages to engage viewers emotionally and intellectually. Harvest, integrate, and share information as it emerges at conferences and design sessions. Make the unfolding narrative and web of interactions more clearly apparent in ways that reinforce and improve dialogue in real time. Explore the applications of visual practice in this new anthology, co-edited by a member of The Value Web, with contributions from many of our graphic facilitators. Imagine your ideas drawn—through color, space, lines, movement, scale, icons, figures, and metaphors. This is the territory of visual practice. Spoken conversation is fleeting. Visual practice makes it concrete. The new anthology Drawn Together Through Visual Practice shows the power of visuals as a sense-making device in an age of unprecedented complexity. In this anthology, 27 contributors share methods and insights drawn from experience. 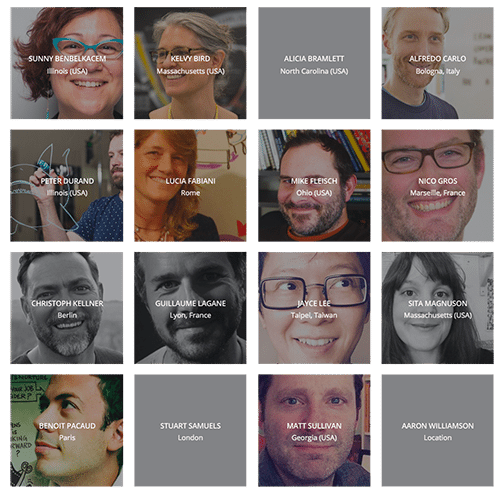 Leading professionals in visual practice, together with practitioners in other fields, delve into deep and resonant questions at the core of connection and communication. 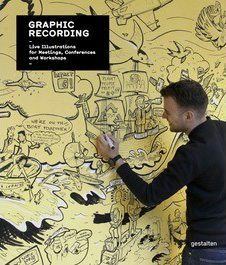 CHECK OUT GESTALTEN’S NEW BOOK ON GRAPHIC RECORDING, FEATURING MANY IMAGES FROM MEMBERS OF THE VALUE WEB!